Discovery [JSE:DSY] on Tuesday announced a 17% rise in normalised profits and a 16% jump in earnings per share for the year ended June 30, 2018. Normalised headline earnings per share rose by 16% from 722.2 cents in 2017 to 837.4c in 2018 the financial services group announced in its audited results. Normalised profit from operations, meanwhile, was up 17% to R8.26bn in 2018, from R7.04bn in 2018. "Every business grew operating profit at least in line with expectation, and with the exception of VitalityLife, all established businesses generated cash, positive experience variances, and returns on capital at or near the Group target," the group said in a statement on Tuesday morning. Discovery also announced a final gross cash dividend of 114c per ordinary share. Holders of the group's less common B preference shares will receive cash dividends of 501.9c per share. 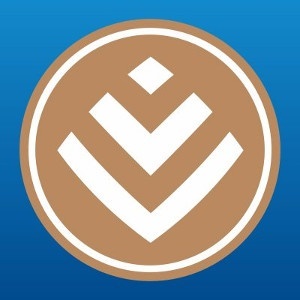 The group said it had agreed with FirstRand Investment Holdings that it would "be preferable for FRIHL to exit [Discovery Bank] entirely as soon as practically possible." Discovery was granted a banking license in 2017. At the time the Registrar of banks proposed that the 25.01% ultimate crossholding in Discovery Bank by FirstRand should be reduced and ultimately exited. Discovery said that, as a result, it is proposing to buy 25.01% of the bank from FirstRand. The transaction, which would cost R1.8bn, has not been concluded yet. The transaction is subject to approval by the Prudential Authority and Competition Authorities. "Although these developments have delayed the process slightly, the bank build is progressing well and remains within budget, and the launch is expected before the end of 2018," the group said.